Can I play Sims 3 with my current system? Hi there! I've been looking into getting Sims 3 for a while now. However, I'm having difficulty figuring out if my system can even support the game. I have photos of what I could find for my system specs. Can you help me? Note: I have Windows 10. Re: Can I play Sims 3 with my current system? I couldn't add all of the pictures I took in my original post. @sg13NHarri Well, I got some of your specs from those screenshots, but honestly, I didn't know what to do with half of what I was looking at. It would be much easier if you could run a dxdiag and attach it to your post instead, and all the relevant information would be there. Screenshots will not tell us what we need to know. Press the Windows key and "R" at the same time. wait until the green bar is gone > Click on "Save all information"
Here at AHQ > click on "Reply" > click on "choose file" > navigate to the "DxDiag.txt" on your desktop. > select the "DxDiag.txt" > click on "Open"
Type a few words in the text box > click on "Submit"
@sg13NHarri You could probably run the base game, and maybe one or two of the earliest expansion packs, but not much more. Your processor's base frequency exactly matches the usual recommendation, but it's an i3- series, and it only has two cores. To run the game on a laptop, it's best to have an i7 with at least four cores. Additionally, I believe you only have the weak integrated graphics chip that came with the processor. Even the moderately demanding expansions need a dedicated card, or at the very least one of the strongest new integrated options. Another point to consider is that this computer is around nine years old by now, and it probably doesn't run as well as it used to. So there's a good chance it wouldn't be able to handle TS3 at all. If you wanted to try, you'd need to stick to the base game and the first few expansion packs—World Adventures, Ambitions, and/or Late Night. (Stuff packs don't add much to overhead.) You'd also need to make sure you weren't running anything besides the game itself; 6 GB RAM isn't really enough to multitask if TS3 is one of the tasks. So the short answer is, maybe you could get the game to run, and maybe not, but it probably wouldn't run as well as you'd like. If you have another computer to play on, that would probably be a better option. @sg13NHarri I think your computer has an Intel I3 processor which is the weakest of the Intel I series processor and it looks that it is clocked at the minimum clock required for this game. Also it looks like the video only has 64mb of dedicated video memory and the minimum requirement for TS3 is 128mb of dedicated video memory. 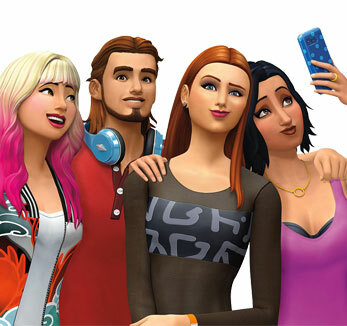 While the base game may run (and I stress may) you will probably have issues with the more demanding expansion packs like PETS. I have an i3 and its a 2011 model!!! Nvidia 4 meg card, and 4 meg RAM. I run Sims 3, with world adventures, ambitions, Monte Vista - it runs ok. Sometimes the first screen (where you click for points) takes a while, but that allows me to try and find the items!